Finished Dave Bronson's third album: "Questions" due in January 2015 (check out the promo video). 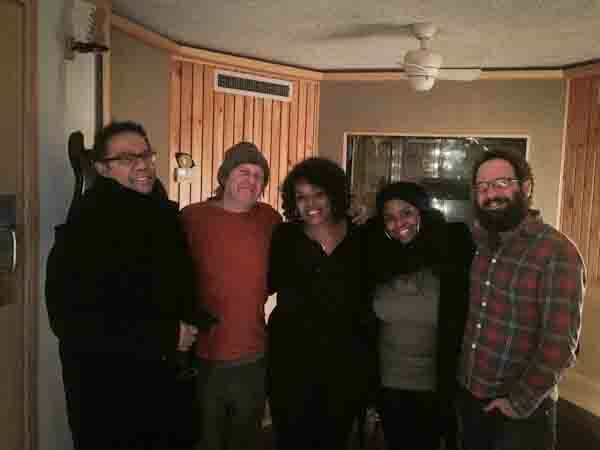 One of the highlights of this project was getting to work again with Robin Clark, one of my all time fave vocalists. She came to the project via Gordon Grody who also added backgrounds and arrangements. 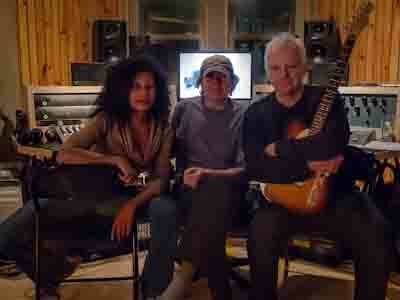 Another thrill was working with the legendary Carlos Alomar who added guitar and background vocals. Robin and Carlos brought in daughter Lea Lorien to round out an awesome background section. For anyone not familiar with this duo; they made up part of the team that created the Young American's sound for David Bowie back in the day. I've always had a fascination with the making of "Exile On Main Street" ever since I heard stories of how the Stones wrote and recorded it in a mansion in the South of France by pulling up a mobile studio so they could take advantage of living and working together in this idyllic location and capture the unique sounds from the basement of Villa Nellcote where they spent the summer '71. After reading "Life"; Keith Richard's autobiography and seeing rare pictures of this era, my interest was reignited and I decided to try to visit Nellcote myself. I knew I might only be able to glimpse it from the outside since by all accounts the grounds are gated and inaccessible, but lo and behold on arrival the gates were open and we were able to grab some rare snaps of this legendary mansion. Dave Bronson released his debut album "Story" which was mixed at Perfect Mixes; you can check out all his videos here. Dave is already back in mixing his second album with us. We finished recording and mixing Josh & Dem; look for that release soon. Foxy is in the house recording new tracks. Perfect Mixes just got a whole lot more perfect !!! We've all heard about the advances that have been made in the digital audio world and here at Perfect Mixes, we did expect to hear an improvement when the new Pro Tools|HDX was installed - but I can honestly say that we were blown away by the richness and tone of these new converters coming through our vintage Neve console. Digital recording has truly hit a new plateau and we invite you to come experience it for yourself. If you have a new project or just want to have a listen, give us a call. 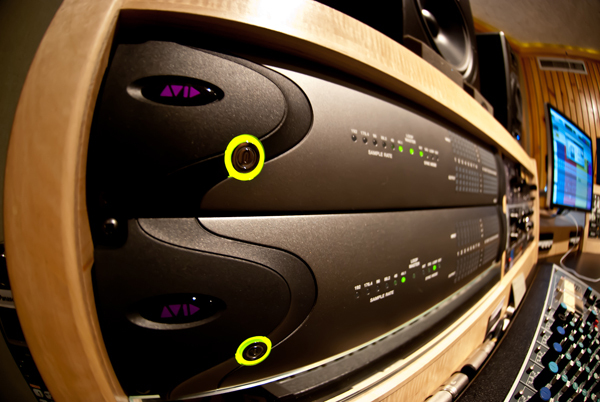 We now have the latest Pro Tools|HDX AVID system as well as a 12-Core Mac Pro and a UAD-2 Quad DSP card. This allows us to offer you the legendary EMT plate along with a multitude of other classic plug-ins. We finished Matthew Kiss' first album, Black Hound Sessions, which is available now; and are currently recording/mixing Josh & Dem, new Gabriella Hook demos, and David Bronson's 2nd album, among others. Stay tuned for news about our major studio upgrade. 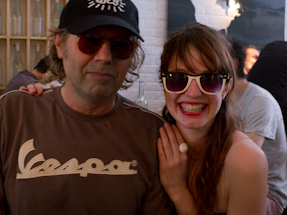 Gabriella & I met the summer of 2010 when she was busking in Prospect Park, Brooklyn. A year later we started production on her first album; Build a Storm which I am happy to announce, has just been released. Below is the first video. A lot has happened since Perfect Mixes Recording Studio moved from Williamsburg to the Brooklyn Museum area.